Bit tricky for me to avoid them if heading south, as I live on Elizabeth St near the GPO. 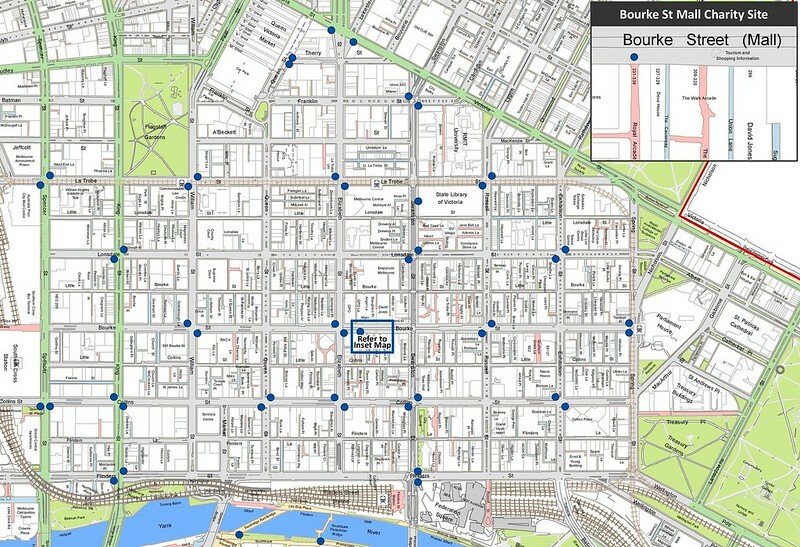 However, the colonnade on the GPO building is handy, keeps you up and away from them and you can then either nip through H&M or drop down onto Bourke St past the danger zone. Remembering of course, there’s another chugger point in front of Royal Arcade (and I’ll bet the arcade’s tenants wouldn’t be happy with that). Thanks for the map. I walk very quickly in the city so have gone past the charity folk before they can pounce. my annoyance is chuggers who stand directly outside stations – just enough so they’re not technically IN the station and can’t get removed by metro. I’ve encountered them at the top of the steps out of Parliament station, chosen another exit to avoid them, and found them there too…they also regularly hang out across the street from Caulfield to get the Monash students. To avoid them you have to walk behind them through the busy car park. @Charlotte, are they chuggers, or other people distributing advertising or collecting for charity? I’ve found chuggers either have permission to be in the station (as per Marcus’s blog post, which I linked to above), or are on street corners. 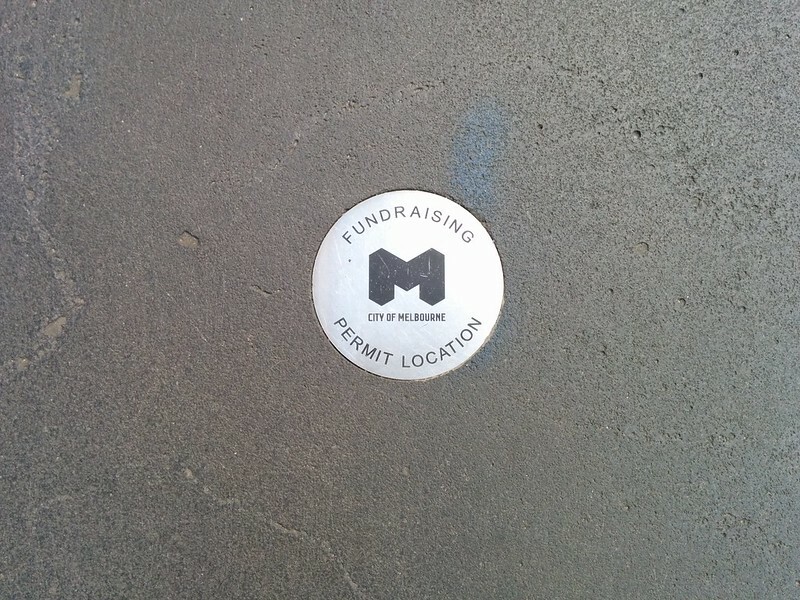 Presumably the new regulations will limit them more than before, at least within the City of Melbourne. The positioning on some of those corners means that if you have to walk in that direction, there is no possible way to avoid them. I wish I could vote in MCC elections; I would vote for any candidate to promised to remove them from the city completely. Sure they’re annoying, but honestly a minor nuisance at worst. Just give a friendly “I’m good, thanks for asking” as you fail to break stride walking past them and then you no longer have a problem. If they do try to obstruct your path or anything I’ve found a “oh it sounds choice and I’d love to to help you out, but I’m from New Zealand bro” in a clearly fake Kiwi accent tends to disarm them also.